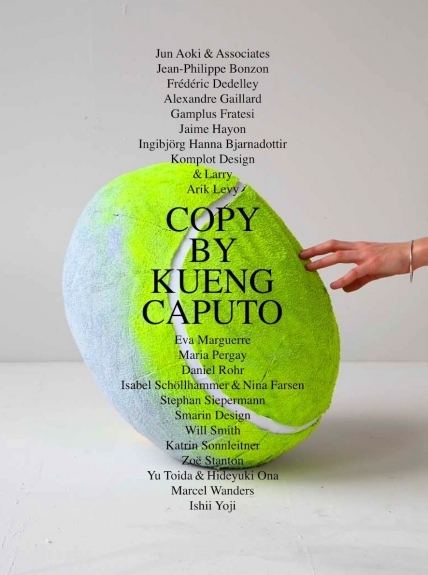 This picture book documents how the product design team Kueng-Caputo has copied objects from international fairs. Each copy is juxtaposed with the original, mostly on a double page spread. Using a precise approach, Sarah Kueng and Lovis Caputo exaggerate significant aspects of the original. In this way the dialogue between the original and the copy represents an homage to the authors. Moreover, the originality of the copy shows what inspirational reading this makes. 2008, 250 x 210 mms, 78 pp, 17 colour and 21 b/w full- and double page illustrations, softcover, ISBN 978-3-940215-07-9.